Do your kids ever ask you “When am I ever going to use this?” I am not sure if you get that question but I get it all the time. The trusted Math Mammoth has came up with a really cool series to help you prove to your kids that you really do use math in your everyday life or in a career. Make It Real Learning is a series of workbooks that give you math practice in real life situations using real life data. They can either be used in a group setting or for individual practice. These are more like resources for extra practice as they do not contain lessons on teaching the topics. They do offer detailed answers worked out for you. 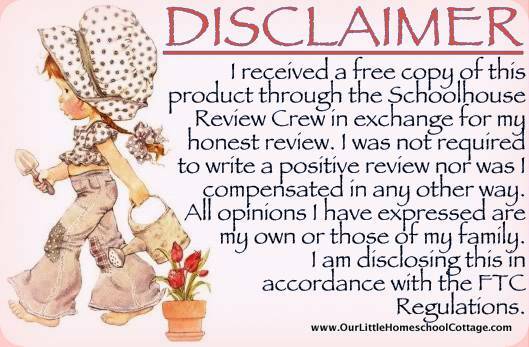 We received two products for this review. Here is the information for each one separately. This workbook works on situations where you might need fractions, percents, decimals, or histograms. This workbook works on situations where you might need to predict something, combinations, counting, and even mean, median, and mode. We are no stranger to Math Mammoth or the Make It Real Learning series and we believe the quality is high and the learning easy. If your familiar with Math Mammoth you know they don’t put lots of little distracting pictures in their workbooks and this carries over in to this series. The format is very simple and easy to follow. My girls didn’t have any trouble understanding the directions. These workbooks did help us figure out what processes we need to work on to strengthen those particular skills. It was also fun to work on the problems together but they also did a lot of them on their own. They would come to me if they had trouble remembering a concept or was just having trouble. So you could use these as reinforcements, checking your child’s comprehension, family discussions, supplement your present curriculum, etc. Since these are pdf files you download, you can either print them out as you need them or print them all out at one time and put them in a binder. We printed out one or two problems a day and we finished them pretty fast but you can do yours at a slower pace. I encourage self checking so after each problem they would go to the answer sheets, which I did not print out this time around, and check their answers. They could then see where they went wrong, what they should have done, and they would fix it working the problems out again (I like to use that method for reinforcement). As a result of this review, we still enjoy Math Mammoth as a resource that complements our regular math lessons. We have also used other Math Mammoth Series for a stand alone curriculum as it is intended. I really like that this series is simple enough for my girls to follow and there are no distracting characters or other objects on the page that they would want to color in or draw faces on, so they stay focused on the problems and nothing else.